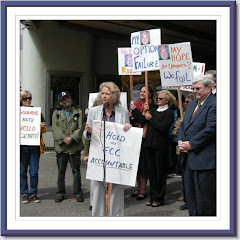 Sue Wilson Reports: Video Interview of Sue Wilson's Media Action Plan! Video Interview of Sue Wilson's Media Action Plan! Many thanks to Bruce Fealk for writing this story and doing a videotaped interview inside the Frank Lloyd Wright designed UU Landmark Auditorium.